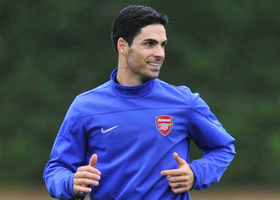 Arsenal midfielder Mikel Arteta has admitted that his side’s 3-0 win at Cardiff as a statement of intent to the Gunners’ Premier League title rivals. “Considering they beat Man City here and they drew against Man United, just shows you what a tough place this is. “For us it’s a big statement to come here and get the points, to score three goals away from home is very important. We got another clean sheet as well so we’re full of confidence.